After their scrappy win over the bottom-dwelling Eels, the Warriors came home to Mount Smart to face a South Sydney Rabbitohs side currently enjoying a three-match winning streak. 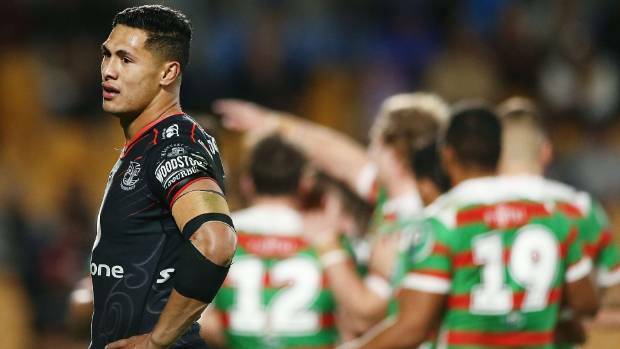 Roger Tuivasa-Sheck returned to the side, but Mason Lino was ruled out, meaning Peta Hiku was moved into the halves with Gerard Beale slotting into the centres, but it wasn't enough to make a difference as the Warriors continued their current win-loss trend alive going down 30-10. This was another tough game to watch, the Rabbitohs have been watching the game tape and knew exactly what to do to obtain a victory over the home side, simply put once again the Warriors forwards were bullied into submission. The Burgess boys were on a rampage all night and the Warriors showed no signs of stopping them. Missing Lino did not help matters, but I think with the forwards struggling there wouldn't have been much Mason or even Shaun Johnson could have done to help this side get the victory here. If the Warriors want to have a successful run in the playoffs, they need to seriously increase their intensity in the forwards as a way to combat their smaller stature in comparison to the top packs in the comp. The bye week couldn't have come at a better time as Stephen Kearney and co need to go back to the drawing board an rethink the way they set up the pack. Adam Blair needs to move out of the Lock position, move him to prop and have either Simon Mannering move there or have Ligi Sao come back as he was strong in the early rounds. The backs are fine, Shaun will return after the bye, and the only other player I would be looking at bringing in fulltime is Gerard Beale for either centre. Comments were split last week with many making good cases for why Solomona Kata or Peta Hiku should be dropped, right now for me, I would be siding with cutting Hiku, but I can see the other point of view also. Beale looked strong once again in his second showing for the Warriors which leads me to my positives from the match. I don't have many to be honest, but I did like how Gerard Beale constantly looked threatening when given the ball, there were several instances where he was able to get his upper body free in the tackle and was looking to offload the ball to create some much needed second phase. Unfortunately, there were no players in support, and the Warriors really need to bring this into their game plan, they just need Roger, Shaun or even Issac to be running the channel just off the shoulder of the ball runner, add that dimension to their game and watch the tries pile on. That is all I could really highlight as a positive this week as there was a lot more to be concerned about which leads me to my negatives. The defence was woeful, I cannot even begin to understand how the Rabbitohs were able to score two tries so quickly when they had a man in the sin bin, that should never happen. If you can't gain any momentum on attack falling apart on defence is just paving a road to disaster. The forwards lacked that punch needed for NRL level football, it felt like Paasi was the only forward actually going running with intent in this match. Bunty Afoa had a quiet game in comparison to how he has been performing this season and James Gavet was more interested in playing with his hair than bending the defensive line. I'm hopeful that after the bye the forwards have a reshuffle or a change of attitude to bring themselves up to a top-eight quality. The ladder is super tight right now, and a few more slipups like this and the Warriors could find themselves out of the eight with a battle on their hands to get back in as their points differential is going to take a mighty effort to improve. The Warriors biggest issue is the way they are losing, the top sides have lost this year, but they have been tough hard-fought matches, the Warriors losses could almost be described as "easy wins" for their opponents. I know they have only lost four matches this season, but unless they can bring a tough edge to their gameplay, I fear there will be a lot more losses coming. Regardless of how the team is performing, you can always bank on Rogers to be giving it 100% out there. He showed intent with the ball in hand and was always trying to be involved in all facets of the game. I hope that his baby arrives during the bye week as the road only gets harder if Roger was unavailable for another game. If the rest of this side could match Roger's attitude, this side would be very dangerous and im hopeful that as his ability as a Captain grows so too does his influence over the players around him. 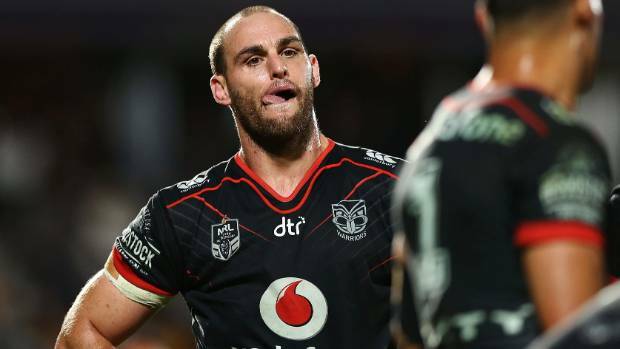 My Warrior to improve goes to Simon Mannering. I never thought I would have Simon in this section ever and im sure I will get a lot of pushback, but for the past few weeks I have noticed that Simon is not playing at the level we have all come to expect. For the first time his age seems to be showing, and in this match, he fell off tackles that he would never have before. He has been the benchmark for this team for a long time, and I believe that carrying the Warriors for as long as he has done has taken a toll on him. Simon himself has commented that he has enjoyed coming out of the bench instead of being an 80-minute player and I think that is how he should be used right now. Admittingly losing Pulu to injury kind of changed how Mannering has been used but I think reverting back to Simon coming off the bench is what is best for the team. Regardless of what his decision is when his contract runs out this season, you cannot deny the contribution Simon has made to this club, and I think the Warriors would be fools if they did not find a place for him inside the organisation after his playing days are over. His work ethic is second to none and if could pass that onto the young talent coming up the club would be all the better for it. Round 13 sees the Warriors have there one and only bye this season and with the two points, they will earn they will stay in the top eight once again. Round 14 will see the Warriors fly down to Christchurch to face the Manly Sea Eagles hopefully with all their players back from injury. I am predicting the win-loss pattern to continue with the Warriors getting a 14 point victory over the Manly side. With no game to review next week I will be posting my midseason review so that is something to look forward to next Monday after having a no Warriors game to watch in the weekend. So that was my take on a tough Round 12, and as usual, I will leave you with some questions. Are you worried about how the Warriors are performing in recent Rounds? Do you think I was unfair on Simon? Where do you see the Warriors finishing on the ladder? Who would be your midseason MVP for the Warriors?